Tory Historians should really have mentioned this yesterday as one of the greatest novels in the English language was published on January 27, 1813. It was advertised at 18s, rather a lot of money in those days and it had one of the most famous opening lines: "It is a truth universally acknowledged, that a single man in possession of a good fortune must be in want of a wife.". That line has been adapted by numerous hacks for numerous purposes, most of which ignore the sublime irony in it. The famous TV series of “Pride and Prejudice” with Jennifer Ehle as Elizabeth Bennet and Colin Firth as Mr Darcy starts with the young men riding into town (Meryton, one assumes). This places them at the centre of the subsequent plot. Nothing could be further from the novel, which is about the Bennet family and, famously, starts with them discussing the recent arrival of Mr Bingley about whom they know very little but whom they suspect to be extremely eligible. “Pride and Prejudice” is a clever picture of contemporary society. Unlike some Victorian novelists, Jane Austen has a clear idea of money. Mr Bennet has £2,000 a year and has been unable to increase that income or to save money for his daughters, largely because of his abdication of responsibility. Mr Darcy is, of course, the representative of the old aristocracy, related to all sorts of people, the owner of a handsome estate that, unlike Mr Bennet, he pays attention to (though when exactly is hard to tell) and has £10,000 a year. This is to be viewed more like turn-over in a modern business rather than clear profit, as the money has to be used for the upkeep of Pemberley, the household, the estate as well as his lifestyle. Miss Austen's novels were about women and their families, usually written from one point of view, that of the heroine. In the first chapter we meet the entire Bennet family but realize very soon that we are not going to know much about four of the sisters. 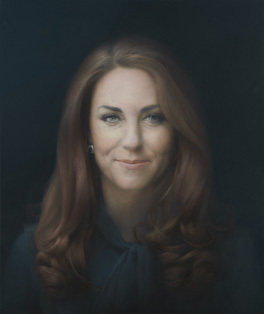 Elizabeth is the one who matters and we see the world, including its male inhabitants through her eyes. It is her fondness for her father, whose favourite she is that prevents her and us from realizing for a long time how inadequate he is in his role. One can go on about Pride and Prejudice for a very long time but the best advice TH can give to those who do not know it is to read it and to those who do is to read it again. Whether one thinks of King Charles I as the Martyred King or as the ruler who was so utterly incompetent in his political thinking (not to mention weak-willed) that he drove the country to a civil war or, indeed, anything between those two views, one would have found it hard not to be impressed by the carefully prepared and excellently staged King's Army Parade today that followed the King's last route from St James's Palace to Whitehall Palace. There he, having famously donned three shirts as the day was a cold one and he did not want anyone to think he was shivering with fright, he stepped out of the window of the Banqueting Hall, the only part of the old palace still in existence, and entered his martyrdom. As I followed the horse riders, the soldiers with their muskets and pikes turned down and the slowly beating muffled drums, I thought again what an extraordinary moment in history that was: the definitive separation of the King as a person from the King as the personification of state. 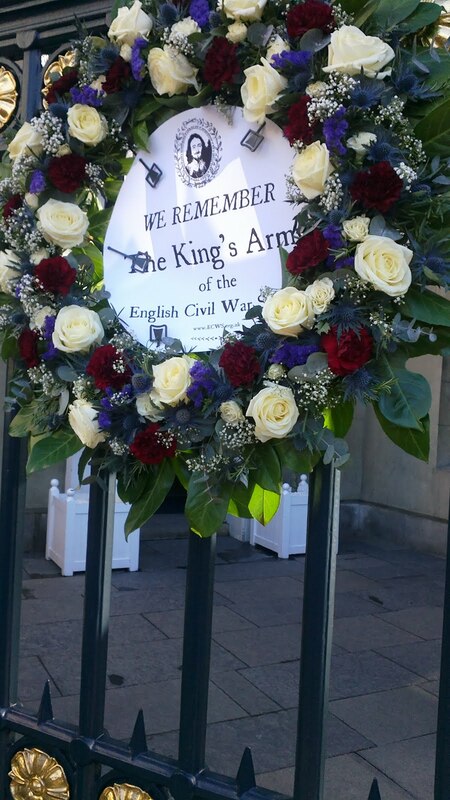 As we are approaching the anniversary of King Charles I's execution, the King's Army will be parading this Sunday at 11.30 [scroll down to date]. 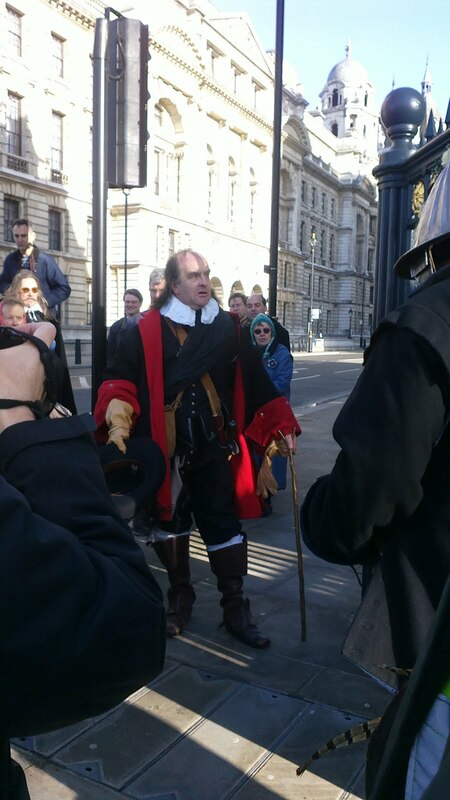 They will follow, mostly, the route the King took on his last journey from St James's Palace to the no longer existing Whitehall Palace. A small detachment will lay a wreath at the Banqueting Hall, which is still there. Then, I imagine, they will depart to the nearest hostelry, being Wrong but Wromantic. Here is London Historian's description of last year's event. Sir Winston Churchill died on January 24, 1965; his father, Lord Randolph Churchill on January 24, 1895. Lord Randolph did not get a state funeral and, in any case the film would have been of varying quality. Famously, Sir Winston did have one of the grandest state funerals in history, mostly planned by him. Here is one part of it, with what, to me, is the most moving moment: the salute of the cranes in the docks. Today is the anniversary of the younger Pitt's death. 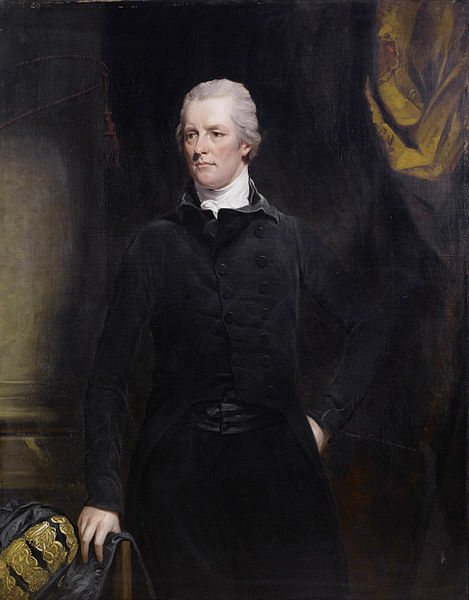 Not a special anniversary as he died on January 23, 1806 but he was a great enough man and Tory Prime Minister for us to note this day, a sad one for Britain then at war. The last ten minutes of Sir Carol Reed's splendid war-time film, The Young Mr Pitt, with Robert Donat, John Mills, Robert Morley and other luminaries of the British screen. At the start of the sequence the fickle populace has once again come round to Pitt's support after hearing about the great victory at Trafalgar. On February 1 there will be a talk in the Guildhall Library about Dickens and his illustrators. It would seem that a visit to the Guildhall Library is indicated. A long piece about Dorothy L. Sayers's conservatism is best described as work in progress though a few short postings have gone up from time to time, covering various aspects of her work, often with critical comments. She remains a fascinating and talented lady who has contributed to many aspects of literature. 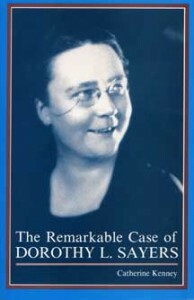 I have just finished reading another book about her, Catherine Kenney's The Remarkable Case of Dorothy L. Sayers, which started too slowly, gathered interest but trailed off again with chapters that were too long for what they said. There were interesting matters discussed, for all of that, even if the author seemed far too enamoured with Gaudy Night and The Documents in the Case. Sayers once said that it is by an author's assumptions, by what he or she takes for granted, that we can really know the writer. 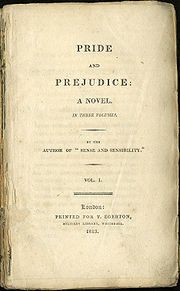 In addition to assuming that her readers are familiar with the literature she cherishes, she also assumes that they share a certain sympathy - or at least a tolerance - for her world view, a view that endorses the traditional values of order and civility, as well as the concepts of personal responsibility and justifiable limits to human behaviour. Whilst the great detective, as an amateur generally works outside the law, he does not work against it, or seek to rend the basic social fabric. That is not to say that it is necessary to accept or to endorse every aspect of society as it exists. Very few detective story writers of the Golden Age did that, pace Julian Symons. It is the traditional and orderly values that might have been undermined by the existing society as well as by the criminal that are so important to the whole genre of detective stories. 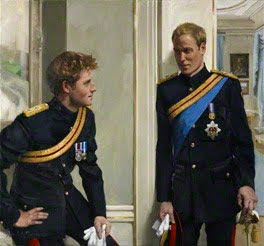 Tory Historian managed to visit the exhibition about Prince Henry at the National Portrait Gallery, The Lost Prince, in its dying hours or, to be precise, on the day before it close. 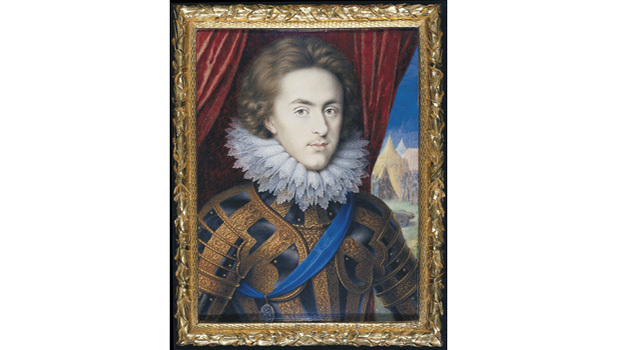 It was a fascinating compilation of portraits, books, manuscripts and other artefacts related to Prince Frederick Henry Stuart, Prince of Wales, James I's eldest son, who died unexpectedly at the age of eighteen, leaving the inevitable feeling of lost opportunities? Would he have been a better and, most importantly, a more intelligent king than his brother became? Would he have ended up on the scaffold? We cannot tell, for despite the wealth of material in the exhibition and despite a determined attempt to draw a picture of the prince as a forward looking king in training who was a determined Protestant, loved art, architecture and jousting and was interested in kingly matters such as relations with other countries and dynasties, the truth remains that we do not know enough about him. Detailed letters written to him by members of his circle chosen by his father and books dedicated to him mean little unless we have his responses, which, apparently, we do not. We do know, however, that he was inordinately fond of jewellery and of armour. Here is Brian Sewell's amusing and perceptive review of the exhibition. TH was touched and amused by a letter from James I to a very young Prince Henry in which he praises the boy for his improved handwriting (which, indeed, was mostly terrible) but expresses the strong suspicion that the boy did not write the Latin lines himself but copied them from somewhere else. 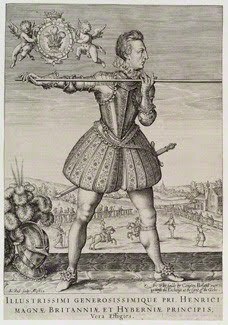 For many reasons, to do with fears of instability and James I's unpopularity a sort of mythology grew up around the successor and his early death in 1612 caused what seems to be a genuine outpouring of national grief. This did not last long and did not cause the dynasty to become any more popular. Not far from it a slightly smaller crowd was examining and commenting on the older picture of Prince William, Duke of Cambridge and his brother, Prince Harry. Moving around the two groups into the exhibition about the "lost" prince and back again served to remind TH and, indeed, anyone else that the extraordinary magic and attraction of the British monarchy remains resolutely with us. As a (one-time) contributor to History Today I was invited to their grand annual party and award giving ceremony, held at the Royal Society in Carlton House Terrace, a place and terrace full of historical connections. The prize for the best picture research went to Pauline Hubner in The Great Builders, a book that looks well worth reading; the Longman/History Today Book of the Year award went to the first volume of Memories of Empire, titled The White Man's World, which looked interesting enough though, for myself I thought one of the others that received a special mention, a biography of John Dee, was more appealing. The special Longman Trust Prize to a body or book or person who had contributed most to the study of history in the last year went to the Pevsner Architectural Guides published by Yale (formerly called Pevsner Buildings of England/Scotland/Wales/Ireland and published by Penguin but always and for ever known as Pevsner). A great day for London: on January 9, 1863 a number of grandees were carried from Paddington to Farringdon Street Station on the first ever underground railway. It was opened to the public on the following day and 30,000 people crowded into the trains and stations. Despite the mockery and dire predictions the Metropolitan Railway proved to be a huge success. More on the history and the day here. Well, here we are, a week into 2013 and no postings yet. Tsk, tsk. Worse than that, this posting will be a link to an excellent blog by Paul Lay, Editor of History Today on whether Christianity should be taught at schools as researchers from Oxford University Department of Education say on the basis of opinions expressed by people questioned by YouGov. In a YouGov poll commissioned by the university, sampling the views of 1,832 adults in England, 64 per cent agreed that children need to learn about Christianity in order to understand English history. They are not wrong, but it is also true that it is impossible to engage fruitfully with the vast swathe of European history between Marcus Aurelius and Voltaire – a millennia and a half – without some understanding of the beliefs of the people, high-born and low, during this crucial period in the history of mankind. The perils of ignorance were brought home to me when I accompanied a very bright, well-educated and successful friend around the Renaissance rooms of London’s National Gallery and was shocked by questions such as: ‘Who’s the man dressed in red carrying the big book.’ The answer, St Jerome, was met with a blank look. Richard Dawkins and his cohorts and followers, all those militant atheists, should not fret, says Mr Lay. We are not talking about evangelization but education. I am not sure Professor Dawkins and his militant atheists are that interested in education if it provides what they consider to be the wrong sort of information, that being anything they do not agree with. As a matter of fact, the good professor could do with a bit of history education himself. I have heard him speak at a meeting that was protesting against censorship imposed by an Islamic student group on another group that was trying to have a debate. Professor Dawkins used the opportunity to lambast all religion and proclaim resoundingly that all bad things in history came from religion and all good things from anti-religious enlightenment. Having listed several "good" developments, he used one repeatedly as a particular example. Because the meeting was quite close to the Buxton Memorial Fountain that was built to commemorate the abolition of slavery in the British Empire, it was the example of the abolition of the slave trade and then slavery that the good professor referred to several times. Unfortunately, the abolition of the slave trade and, subsequently, slavery was fought for by a group of people who were motivated by feelings of devout Christianity. A little fact that every school boy and girl ought to know.